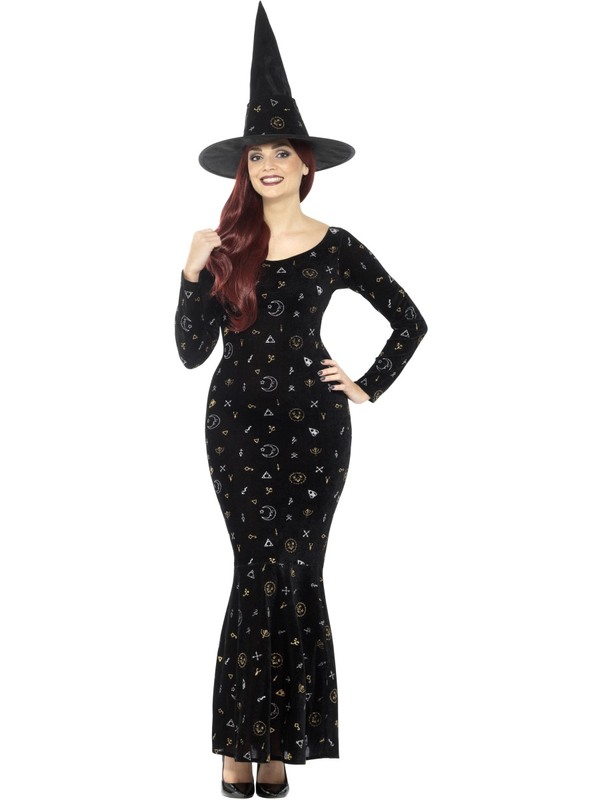 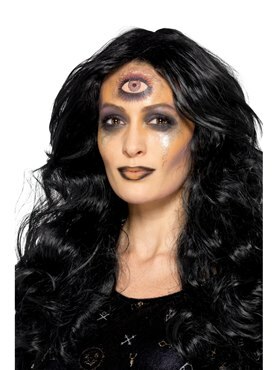 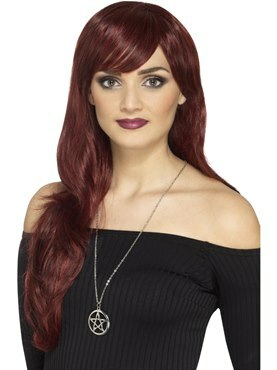 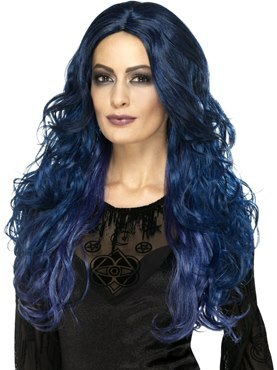 Connect with Spirits this Halloween in our Deluxe Black Magic Ouija Witch Costume! 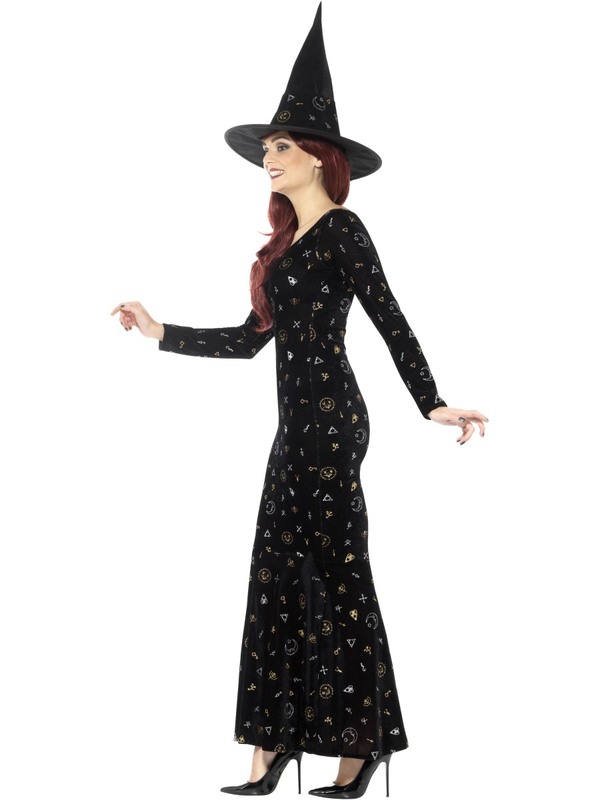 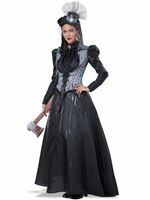 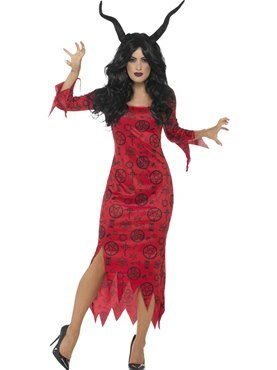 This costume includes this full length figure loving dress in black with long sleeves, covered in silver and gold Ouija board symbols. 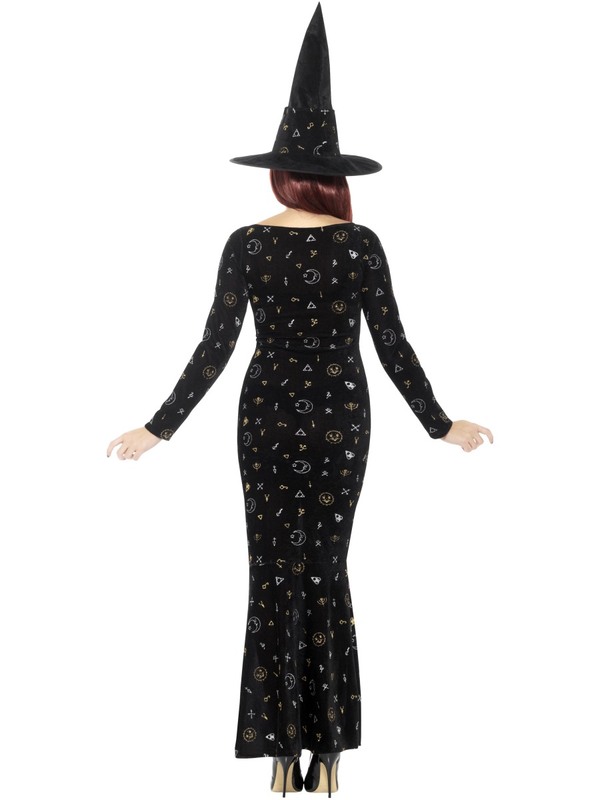 To top this costume off is our witches hat with a matching dress material detailing.